THE MEXICO YOU ARE YET TO DISCOVER. Escondido, means "hidden" and the name really speaks for itself. 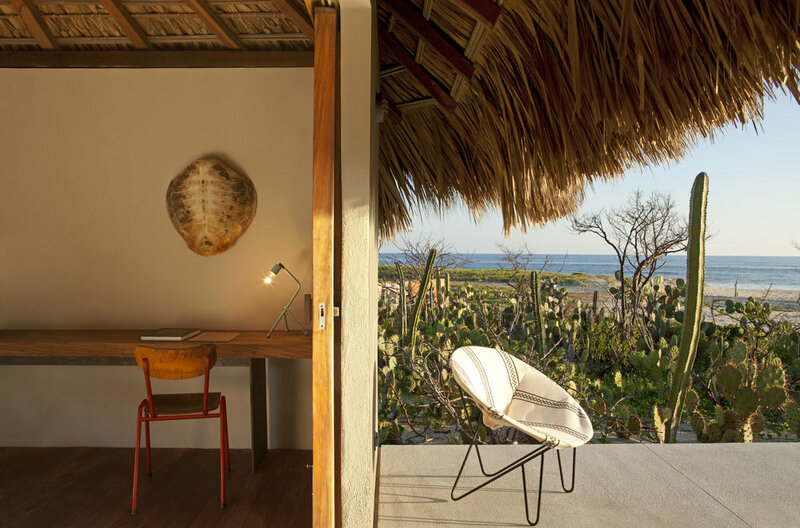 Located in the state of Oaxaca, Hotel Escondido sits on a secluded beach, not far away from Puerto Escondido, Mexico’s surf paradise. Choose one of the sixteen design palapas with individual pools and terraces, all facing the beach. Take a swim in the long infinity pool, built parallel to the coast. Visit the spa for traditional Mexican treatments and really enjoy being away from it all. Azucar, a unique and authentic Mexican boutique hotel is located between Veracruz city and Poza Rica. The 21 white bungalows have palm-leaf roofs, a private terrace and hammocks. Rooms are modern and minimalist with indoor and outdoor shower interconnected. Relax on the white pool deck with a Margarita with the beach directly in your view. Take a day trip to San Rafael. Visit El Tajin ruins or Papantla, the original home of the vanilla. Go rafting on the Philobobos river for the ultimate adventure. Explore the nearby mangroves by kayak or take a bike excursion along the beach. The unique landscape of Valle de Guadalupe houses some of Mexico's biggest wineries. Explore the vineyards and the restaurants in the area for a culinary adventure. You are here for the beautiful vast surroundings, the unique architecture and the wine. Enjoy 20 Luxury cabins sitting in the valley with wineries and green hills in the background, seamlessly blending into the environment. Relax on the pool terrace or watch the stars in jacuzzi at night. Light the Mexican kiva to stay warm on a private wooden terrace. 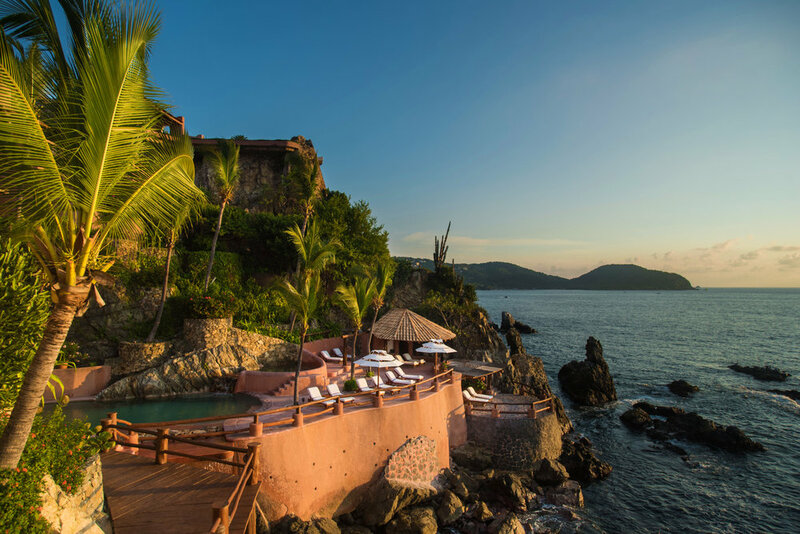 La Casa Que Canta is a luxury boutique hotel, facing Zihuatanejo Bay in Ixtapa, Mexico. There are 25 private oceanfront suites to choose from, complete with terraces, breathtaking views, and plunge pools, only minutes away from the famous La Ropa beach. Wander the property's lush gardens, cool off in the salt water infinity pool, take an afternoon nap in one of the hammocks, or simply enjoy the view in a place that was the setting for the film When a Man Loves a Woman. Playa Viva is a boutique beachfront ecolodge, located on Mexico's Pacific side, with Sierra Madre mountains as a backdrop. Enjoy the private stretch of beach, morning yoga, and the unique sustainable design. Choose one of 12 treehouses, eco casitas or suites - all open air and oceanfront. Wander the 200 acre property and discover an Aztec archeological site or a mangrove ecosystem - home to a variety of wildlife. The mix of public and private spaces help create the perfect vibe for meeting new people or finding yourself.